Nguyen Nhat Dung was born in Hanoi, Vietnam, in 1977. 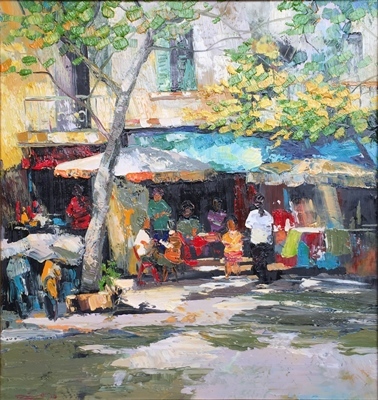 He graduated from Hanoi University of Fine Arts and soon became a member of the Hanoi Young Artists Club. He has successfully exhibited in Hanoi and in Korea. 2003: Participating in group Exhibition at Exhibition House at 29 Hang Bai, Hanoi, Vietnam. 2007: “New Wave” Exhibition in Korean Cultural Centre.